There I am sitting at home nursing my arthritic hips and I start to wondering why do people visit the farm. I kind of get people with my background coming: grew up in London never seen a farm moved to the country and thought hey lets go look at a farm. Why do people who live in the country want to visit the farm at Wimpole – whats different to the other farms round about them -Is it just because they can get access is or is it different? I guess its a farm with visitors rather than a visitor farm ie its not a farm theme park but a working farm that people can visit. So is there a compromise here? 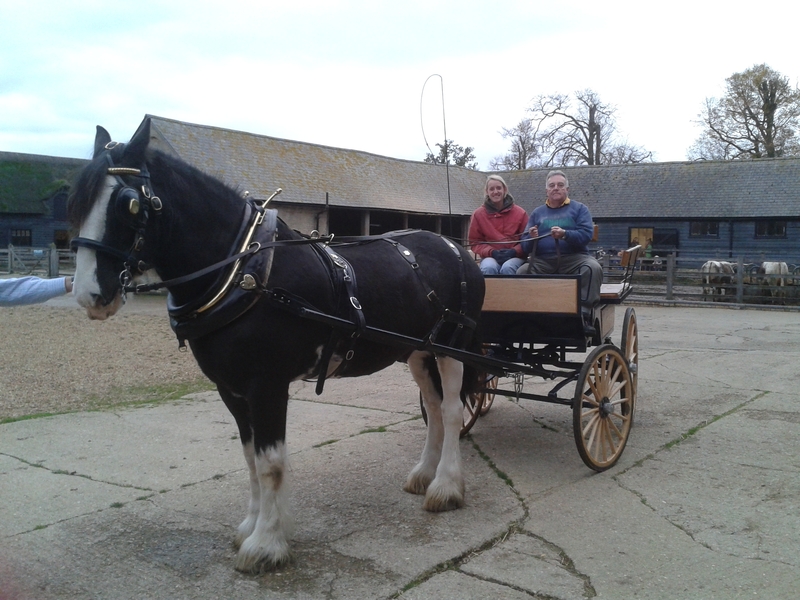 On the farm you get to groom the donkeys watch the pigs being fed, watch the cows being milked, stroke the Shire horses even go on a carriage ride with the Shire horses. Do all these things mean its not a real farm? I suppose we could try and time warp the farm and say it is only going to function the way it did in 1800 and dot – but when is the right period to time warp it? Bronze Age, last week some guess of what it will be like in the 22Century? My personal view is its about showing people how a farm works, protecting rare breeds and giving the visitors a good day out.OK to do this there may have to be some compromises around authenticity ie on a Victorian farm the Shires would be pulling a plow not a carriage full of people, but people like to ride on the carriage and they like to see the Shires do it. The more people that come and enjoy themselves the more people support the estate and what its trying to do. Its a Win Win.